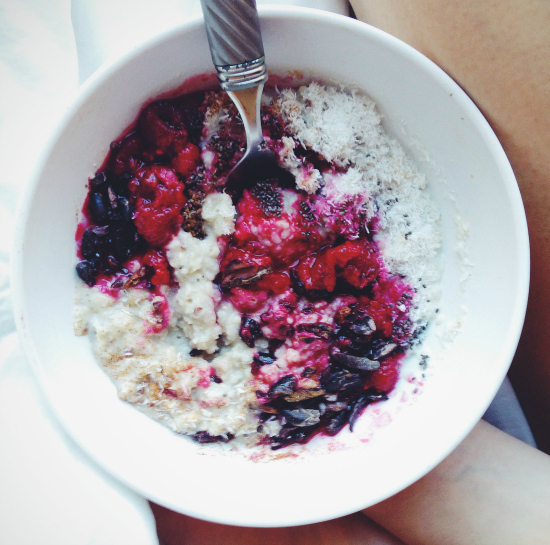 Superfood Oats with Cacao and Raspberries . Recipe. Combine all ingredients in a microwave safe bowl and heat on high 2 minutes. Or prepare on stove top following stove top directions for your oats. Stir and add your toppings such as chia seeds, raspberries, defatted shredded coconut, raw cacao and blueberries!